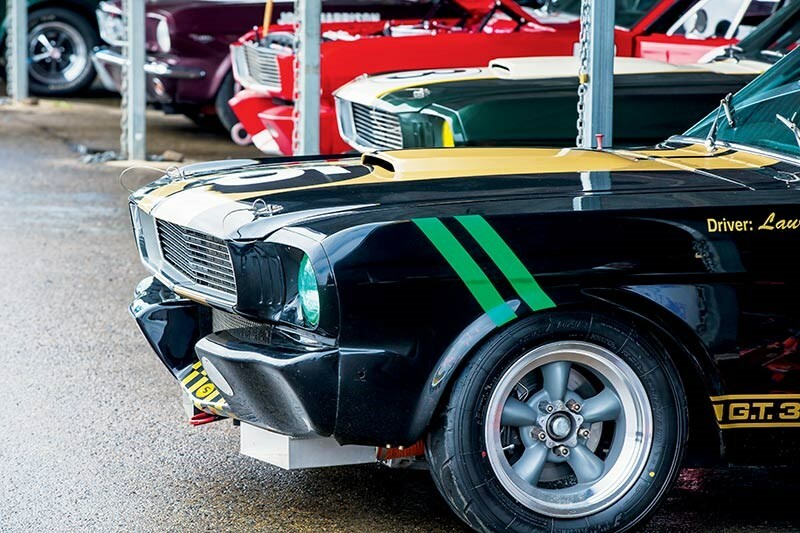 The Sydney Retro Speedfest is on track to become one of the must-do events on the Australian Historic Racing calendar. 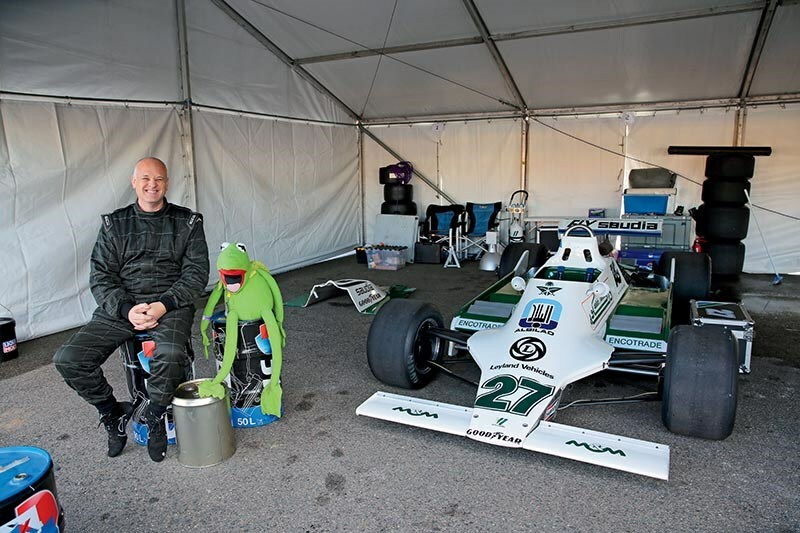 Crowds flocked to Sydney Motorsport Park over the Queen’s Birthday long weekend to watch an almost priceless collection of historic racing machines take to the 3.93km Gardner Grand Prix Circuit. 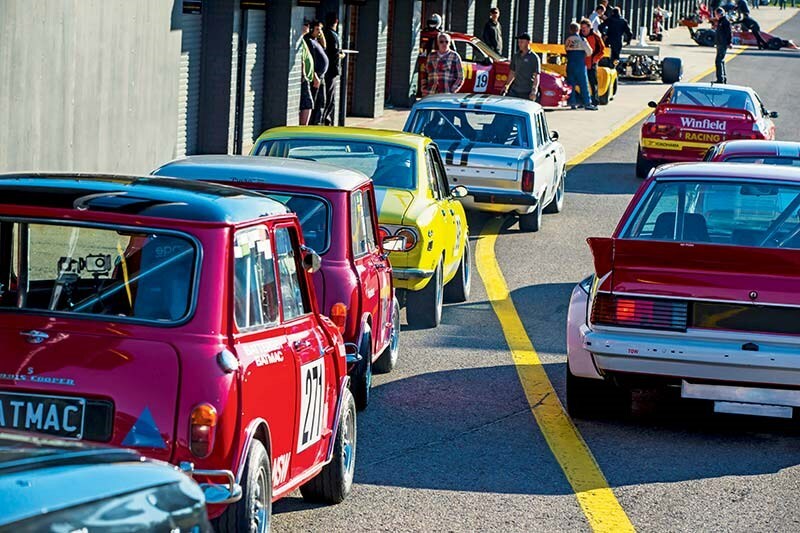 It was only the second year for the event run by the Historic Sports and Racing Car Association (HSRCA) in conjunction with The Australian Racing Drivers Club (ARDC). 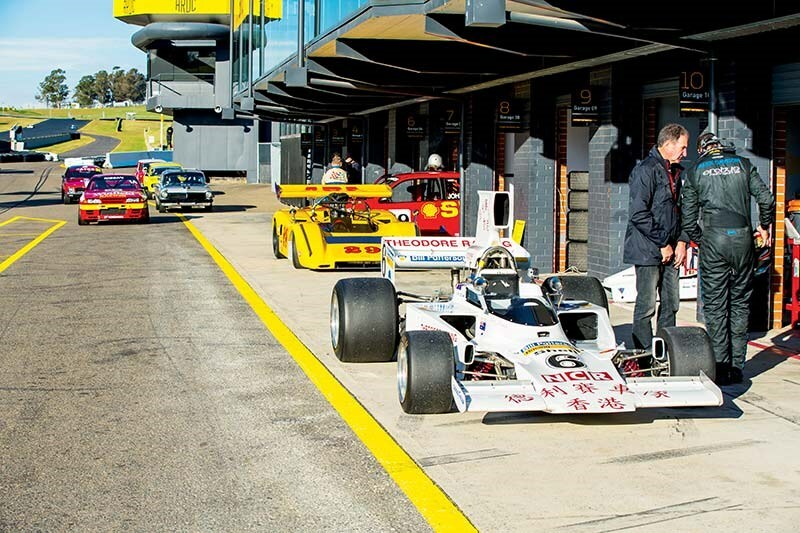 Spectators were treated to two days of non-stop action, with each of the eight racing categories comprising a qualifying session and four races, along with demonstration sessions by a number of classic Formula One cars including the Williams FW07 raced by Alan Jones during his 1980 world championship winning year. Niki Lauda’s 1973/74 BRM P160E and Gerhard Berger’s 1986 Benetton B186 BMW also took to the track. 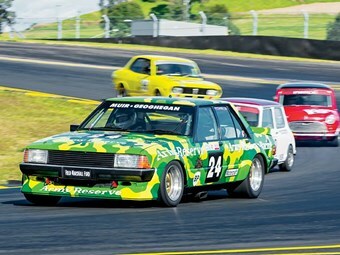 The Group A and Group C touring cars were again the big crowd pleasers with everything from a Holden Gemini ZZ and trusty Holden Commodore through to the Ford Sierra Cosworth and all-conquering R32 Nissan GT-R gridding up. The open pit-paddock area proved popular with fans, providing everyone with the opportunity to get up close and personal with the exotic machinery and chat with the drivers. Looking back over a busy, but enjoyable weekend Peter Schell from the HSRCA said the two-days had plenty of highlights. "The sound of the Alan Jones Williams FW-07 as it screamed around the circuit at full noise was amazing," he said. 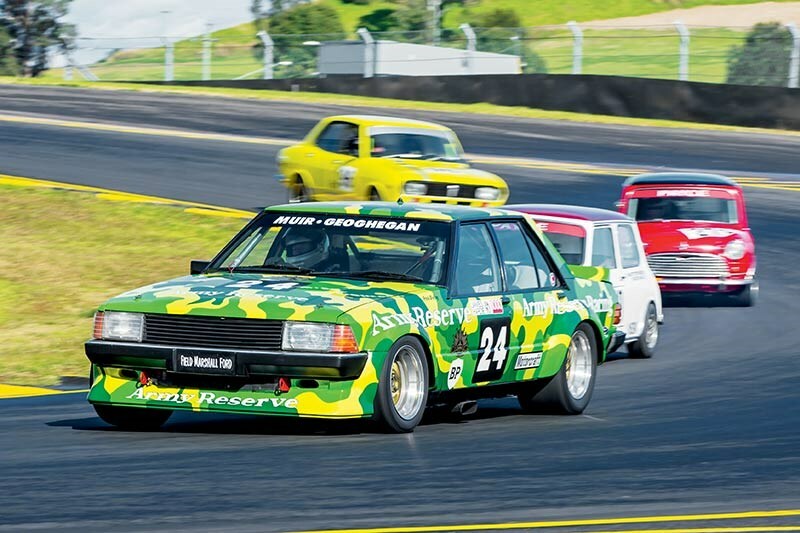 "There were also a few cars being seen for the first time in a long time, including the 1992 Bathurst winning Gibson Motorsport Nissan GTR which was enjoying its first outing since being purchased by Tony Alford." Schell also confirmed planning was already underway for next year’s event. "We hope this will be an annual event held over the Queen’s Birthday weekend," he said. "We’re happy with the way the event has grown in two years. As an example, the number of car clubs displaying at this year’s event was double that of last year’s inaugural Speedfest. "The feedback from the competitors was also extremely positive thanks to the organisation of the weekend and the amount of track time given to each competitor." 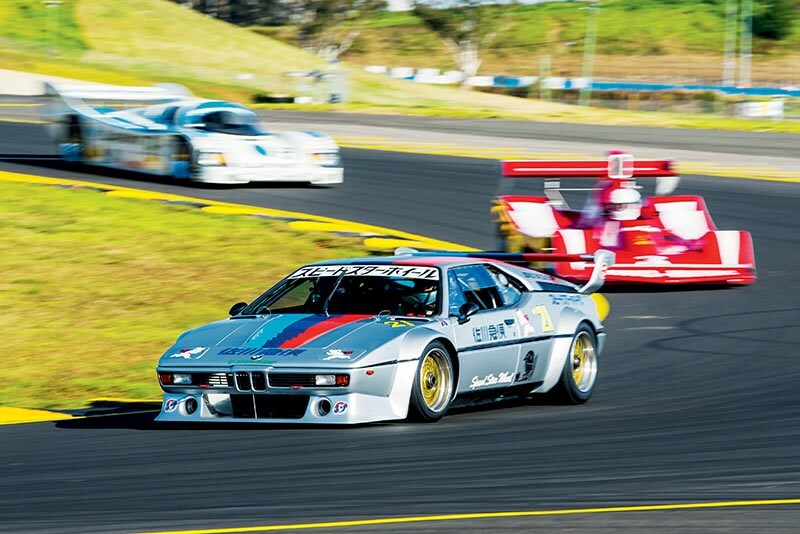 New South Wales historic racing fans will no doubt be hoping a positive response will see the event grow to become as popular at the annual Festival of Motorsport held at the Phillip Island Grand Prix circuit. For Vince Macri and his brother Marty, a race weekend is all about enjoying time with family and friends with a bit of racing thrown in for fun. "It’s certainly a family deal when we go racing," Vince said. "It originated with my late father and now when we go racing it’s a family affair, we are pretty close-knit. "Part of the workshop comes with us as well so we have the big transporter it makes things a lot easier." The boys purchased the car from Queensland, in what Vince described as a ‘bit of a lost cause’ condition. "We’ve basically developed and evolved the car while we've been racing it over the past couple of years – it’s been an enjoyable and challenging experience." Vince usually races a Torana in the Group N category and agreed the Camaro is a little different to drive, but not a great deal quicker than the little Aussie six- pot. 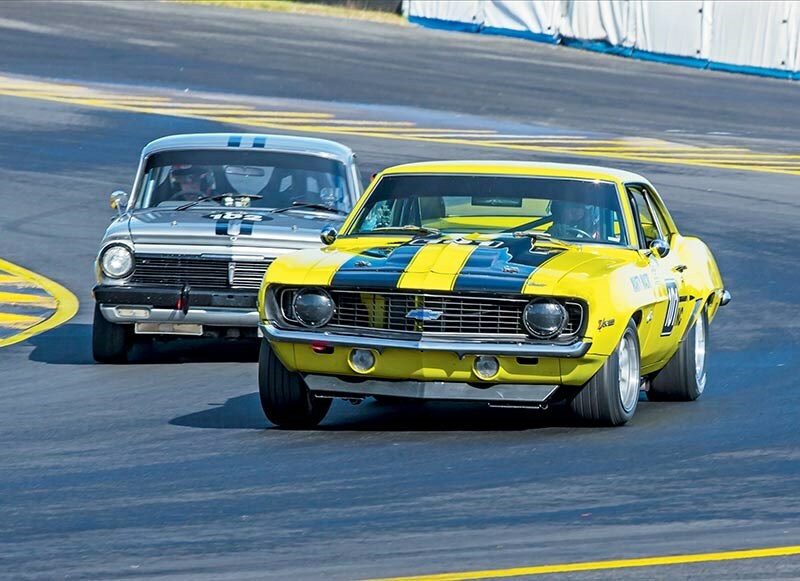 "It’s only just gone quicker than the Torana around Eastern Creek, but it takes a little less effort to drive because it’s powered by a small black 350 Chev motor," he said. The colour scheme of the car has seen it attract a bit of a cult following. 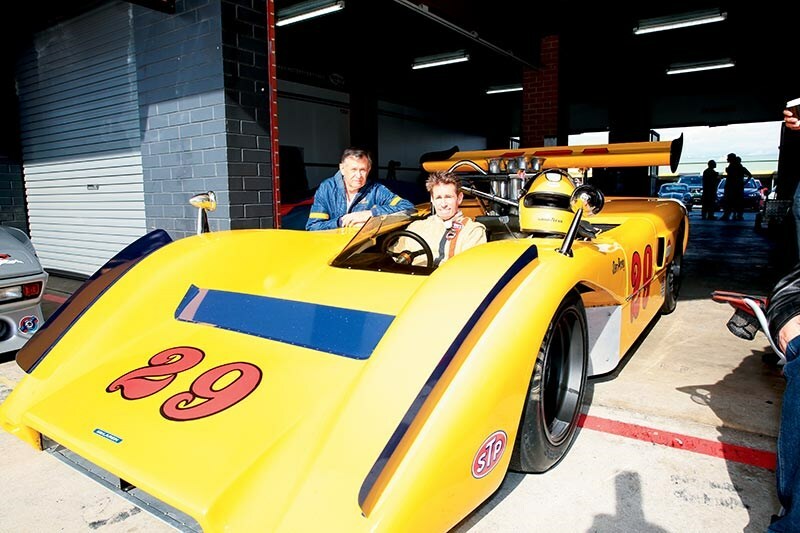 "A lot of kids recognise the car as Bumble Bee from the Transformers movie," Vince said. "If get up close to the car you will notice some of the graphics feature a little bumble bee." Paul Faulkners's Williams FW07 is one of the two cars Australia’s Alan Jones drove throughout the 1980 season to claim the world driver’s championship, the first for Williams and still the last for an Australian driver. 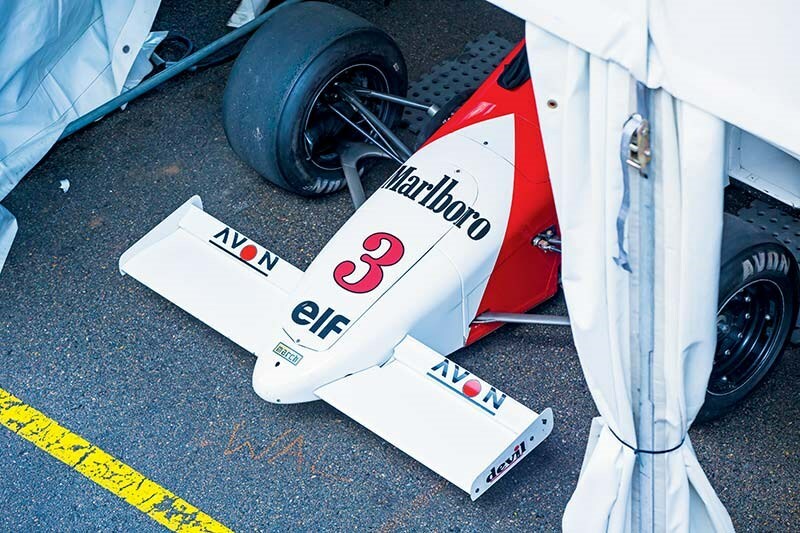 "Jones raced this car six times during the 1979 and 1980 F1 seasons," Paul explained. 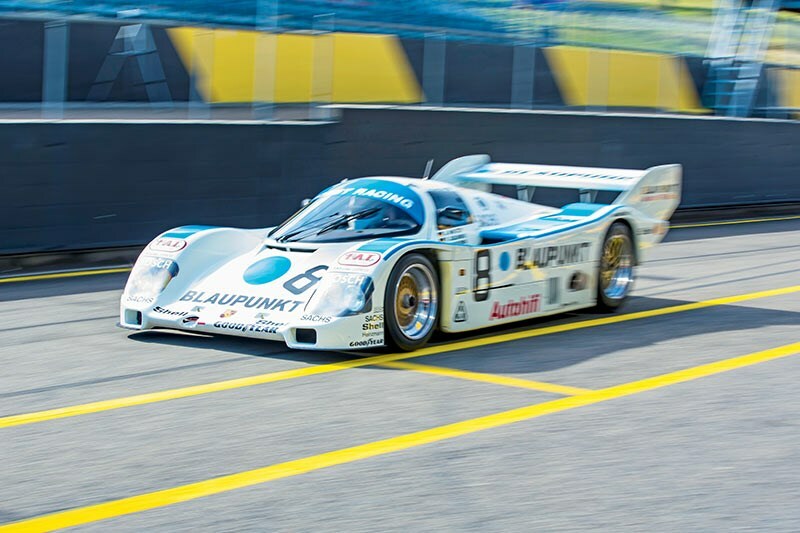 "It won four of those six races, and at the opening race of the 1980 world championship season in Argentina, Jones claimed pole position, won the race and set the lap record in this car." 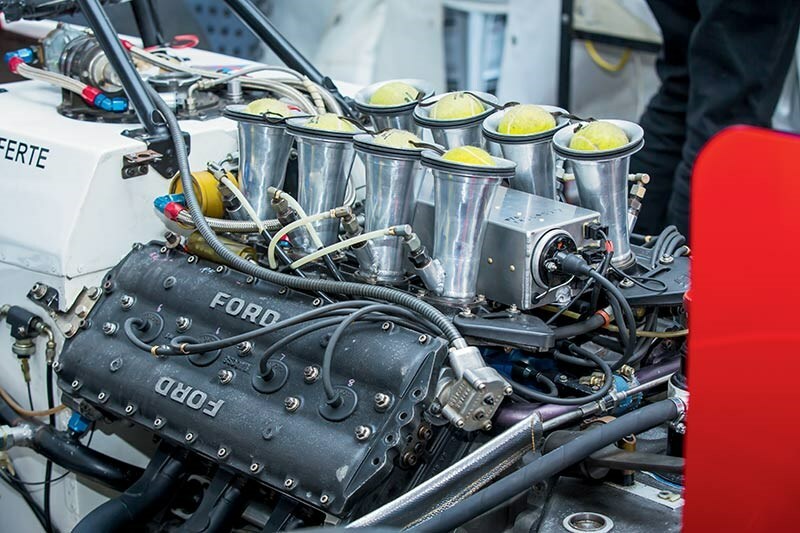 The FW07 is powered the ubiquitous Ford Cosworth DFV three-litre V8 engine. 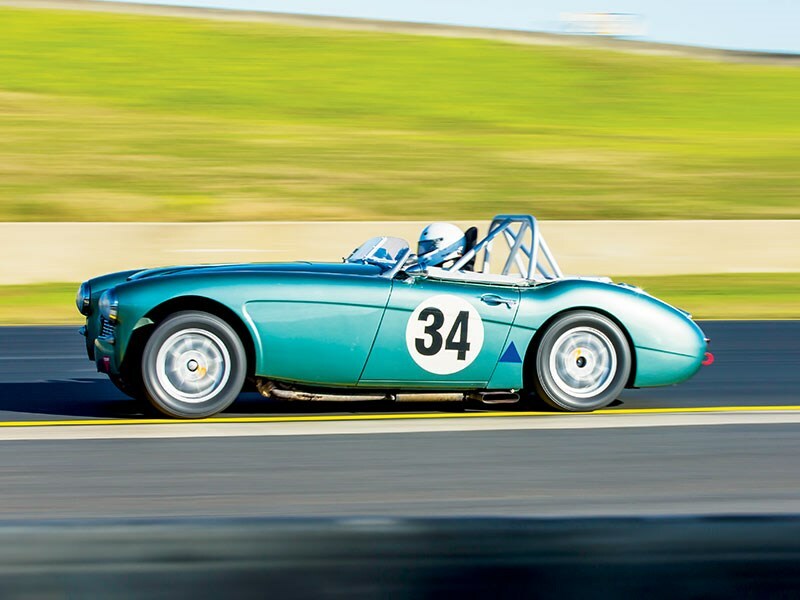 "In its day they were producing more than 500hp and revving to whatever the teams could afford," Paul explained. "These days in historic F1 they are limited to 10,500rpm and will produce an honest 500hp." The FW07 is a ground effect car, with spring-loaded skirts which follow the contour of the race track surface. To minimise wear, Faulkner’s team doesn’t run the skirts dragging on the ground, but Paul said it can still generate plenty of downforce through fast corners. "With ground effect, F1 cars went from pulling around 2 g through a corner to 5 g almost overnight," he said. "Even with the skirts lifted it just hunkers down and doesn’t want to let go. It’s a real world championship winning car. You sit in the seat and think to yourself "Wow, this is special." The Canadian-American Challenge Cup, or Can-Am racing as it’s more commonly known, was pretty much a case of let your imagination run wild and see what you can come up with. As long as it had two seats and enclosed wheels you were probably going to be allowed to race it. Duncan MacKellar’s gorgeous 1971 McLaren M8-E is from the golden age of Can-Am racing, when designers were experimenting with wings and lighter metals. It’s powered by a huge 8.1 litre (496ci) Chev McLaren big block motor producing 560kW (750hp) and a whopping 1000Nm of torque. 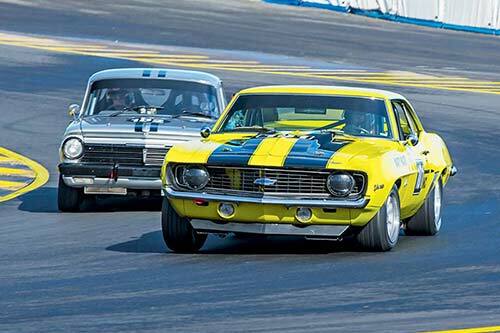 His M8-E was originally restored as a concours show car, but it’s now back on the track doing what it was designed to do. "Two factory McLarens were produced each year and driven by Denny Hulme and Bruce McLaren, this car was a customer car which was driven by Vic Elford, who won Le Mans for Porsche, and Sam Posey, a big name in the states." Weighing just 750kg, Duncan describes the McLaren as lively to drive. "You certainly know you’re alive when you drive it," he said. "We have been fortunate enough to get Barry Lock involved, Barry was a McLaren works engineer from 1968 to 1974 and he has the car going really well, both in a straight line and through the corners."